For many years, I have heard my hipster Annex friends rave about the Ethiopian joint called Lalibela on Bloor (www.lalibelaethiopianrestaurant.com). Chowhounders pontificate on whether it is, infact, the best Ethiopian in the city. Here on Danforth East, we have many an Ethiopian joint to choose from: Rendevous, Djerba, etc. so one would think that we've reached critical mass. However, my heart leapt with joy yesterday when I saw a new sign had gone up at what was once Tiny Thai Kitchen. 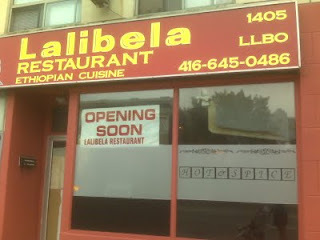 It read Lalibela Restaurant and Opening Soon. Could this be a branch of the original Lalibela? I crossed my fingers and tried the door, as I couldn't resist doing some culinary sleuthing. Luckily it was open and I had a chance to talk to Asres, the manager, who confirmed that yes indeed, this restaurant is being launched by the very same people who run Lalibela on Bloor. They are hoping to open next Thursday. Although the restaurant was in shambles, I noticed some very very comfortable banquette seating being assembled - already a step up from Rendevous' cafe tables. I can't wait to try it out....will their injera be as delicious as everyone says it is? In step with the upcoming long weekend, I got to thinking about mini-getaways. What I've just recently realized, is that a getaway doesn't necessarily have to be a weekend trip to the Muskokas. A getaway can happen in the space of an hour - if only a mental getaway. Although the weather has not exactly been up to par this month, there have been a few moments of blissfully uncloudy days where I've had the chance to hit up a neighbourhood patio for a lunchtime getaway. An escape into a great salad and glass of pinot with a great magazine can rejuvinate even the most overworked, BB obsessed workaholic. Most recently, I hit up Melanie's Bistro (on Danforth at Glebemount) for some patio time and it was delightful. Sitting in the sun, and relaxing with a magazine was just what the doctor ordered. I scarfed down one of their famous Tandoori Wraps which just melted in my mouth. Simply delicious. As I headed back to the office, I felt like I had been on a vacation - even if it was only for an hour! Here is the Toronto Life write up about Melanie's. Just as a side note, Melanie's does a great "salmon eggs benny" as well, so you don't even have to leave the neighbourhood for Sunday brunch. Bon appetit! It's Wednesday again and you know what that means! Don't let the weather dissuade you, if you had any inclination to attend another episode of tonight's Jazz In The Park. Head over to the Coxwell Parkette if only for another serving of Three's Company's amazing pulled pork sandwiches - one of the best I've ever had and for $4 it's a real steal. Surprising what those gals can whip up with a slow cooker! 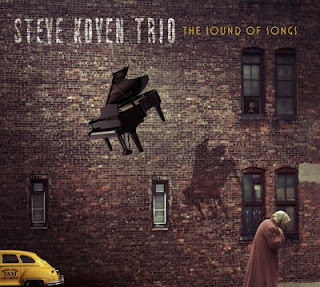 Click here to listen to an mp3 of their latest! 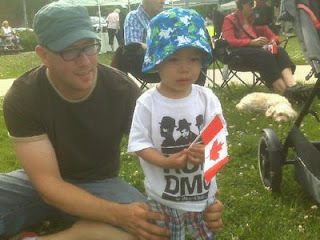 One thing I know about Danforth East is that we are obsessed with our parks. Nary a day goes by that East Lynn, Monarch or any of the other green spaces aren't filled to the brim with people, kids, dogs, strollers and bikes. Since the strike started, our neighbourhood parks aren't that fun to hang out in - the grass is getting long, garbage isn't being picked up and they're starting to look a little forlorn. As well, the streets out front of the parks are becoming derelict (I know, strong word but it's true!). A group of good samaritan neighbourhood folk are coming to the rescue and have organized a neighbourhood cleanup of East Lynn Park and the Danforth area around the park. Mowers will be brought, garbage will be tossed and order will be atleast partially restored. They are asking for people to come on down and chip in - the more hands, the lighter the work, right? Wednesday, July 22 from 6:30 - 8pm. Seriously, even coming down and picking up a few pieces of garbage won't ruin your manicure! 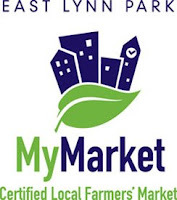 Whether or not you’re a two-step Tommy or a swingin’ Sally, the square dance madness happening tonight at East Lynn Park Farmers’ Market is sure to get everyone’s feet a stompin’. 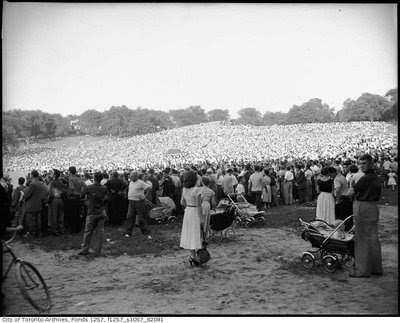 For the first time ever, the grassy knoll on Danforth will turn into a rollicking family dance party - probably the only urban square dance in the city of Toronto. Starting at 5:00pm, market visitors and neighbours alike can throw their straw hats into the ring and have some good old fashioned family fun. Don't worry if you don't know the steps, the caller accompanying the band will be calling out the steps just like at a real square dance. So grab your partner (or kid) and swing her around - around the lawn, that is! East Lynn Park does double duty these days as not only a great park, but a community gathering place and shopping destination every Thursday. However, not everyone is satisfied with perusing for only fruits and veggies. To that end, this September the park will host the very first Danforth East Arts Fair - an arts and crafts extravaganza featuring some of the best local artists our neighbourhood (and beyond) has to offer. The arts fair hits the pavement on September 19th and 20th but organizers are still looking for more artisans to ensure it's a success. If you're gifted in the creativity department and want to be involved, the application can be found at www.danfortheast.ca. The final application deadline is July 31, 2009. Just as a side note: The show is another initiative by the Danforth East Community Association (yay! DECA) who brings us our awesome farmers' market and other fun projects! There's a place I go, where everyone knows my name.....but it's not called Cheers. It's called the Last Drop Cafe and if you haven't been in yet, you are missing out. All menu items are served with two massive smiles from owners (and sisters) Paula and Marie who remember not only everyone's drink specialty but also their names. 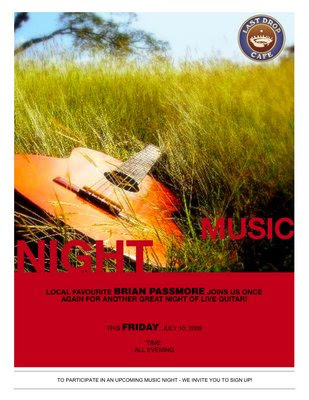 In a bid to extend the fun at the cafe into the evening hours, they are hosting an accoustic music night this Friday, July 10th with local musician Brian Passmore. They are fully licenced with beers and a small, but excellent selection of wine. Tomorrow the weather is supposed to be 27 and sunny, so if you're in the mood for a patio and some music, this is the place to be! Tonight is part two in the Jazz in the Park series and features Terra Hazelton Quartet, a well-known local jazz group. Let's hope the weather holds out!! Police Academy #4: Citizens on Patrol is perhaps one of my favourite movies - a classic even now as much as it was in the late 1980's. However, even though Tackleberry's aviator shades are the coolest, I wouldn't say that I fancy myself a renegade crime fighter. Down at 55 Division, they are hoping the same thing. At a recent BIA meeting, I had the privilege to meet Sam Fernandes, Superintendent down at 55 Division, and he opened up a whole new world of neighbourhood watch to me. The conversation started with graffiti (Sam happened to mention that their graffiti analysis of Danforth East shows that it is not gang related which is a really great thing) and ended with a discussion about broken car windows. The jist of it is that when your car window gets broken or your mailbox vandalised a) don't look for your closest baseball bat and b) don't call 9-1-1 unless your life is being threatened. The emergency response team will most likely not get to you because although these are traumatic things, murders and theivery are higher up on the red alert list. However, all is not in vain. Sam urges people to call 416-808-5500 which is the front desk down at 55 Division to report these issues. You may not get a flat foot at your door pronto, but someone will follow-up with you. Although they won't be able to replace your window, they want to know about these instances of petty crime so that they can put it in a database and analyze larger patterns. He also urges people who are paint brush happy to lay off cleaning up the graffiti until the police have had a chance to photograph it (but please, call and report it!). And just to be clear - this is only in the case of minor infractions. If you've been robbed or attacked or your cat is stuck up in a tree, definitely call 9-1-1!!! As I was mosey-ing by the corner of Greenwood and Danforth today, I finally got up the guts to ask the construction crew what they're building on the south east corner. It has been the question of the day at neighbourhood cocktail soirees and book clubs. Mostly everyone has heard the rumour that they are building a gas station there, and now those rumours have been confirmed. There will be an ESSO gas station and a Tim Horton's. Essentially, this is good for those unfortunate souls who have to drive to work (sorry, but a daily smoggy commute on the DVP is my nightmare). It's not the greatest news for the neighbourhood - increased traffic will make getting to the Beer Store just a bit tougher - but if you look at the glass half full, this is another step in the right direction towards cleaning up our little part of the world. Fact: Bamboo is one of the most diverse materials on the planet and is the fastest growing woody plant in the world - I should know, I had an insidious bamboo plant in my backyard which took months of digging to remove. It's used for everything from wood to paper to food and (surprise) for clothing. Like a magic plant, Bamboo fibers can be spun into a natural textile that is ultra soft, breathable, anti-bacterial, anti-fungal and anti-static. 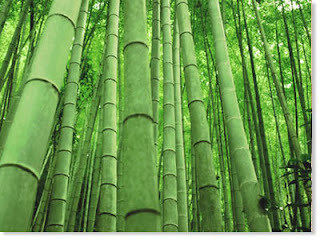 DoBamboo.com is a Canadian online retailer that specializes in textiles made of bamboo. Owner John Elias has been selling everything from t-shirts to towels since 2006 but the new shop opening today on Coxwell at Danforth (two doors north of the Subway) will be his first storefront. The store will be stocking merchandise already available on the site. About 40% of the products are made in Canada so this is a no-brainer double whammy - shop green and shop local. I've got my eye on the fitted bamboo t-shirts, which because of bamboo's natural micro-gaps & micro-holes absorb and evaporate moisture as efficiently as a Dry-Fit shirt might. A bargain at only $20, women's styles come in 5 colours and men's in 10. The grand opening is today so stop by and welcome John to the neighbourhood. Store hours are 11 - 7 Tuesday to Friday, 10 - 6 Saturday and Sunday 12 - 5. 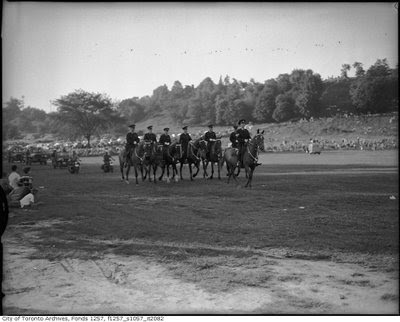 Once upon a time, we were a colony of the British but on May 22, 1867 we became Canada and that year we celebrated our first "Dominion Day" celebration. The name may have changed to Canada Day, but we're still celebrating the same way.